Sweden players celebrate their win over Mexico on Wednesday. 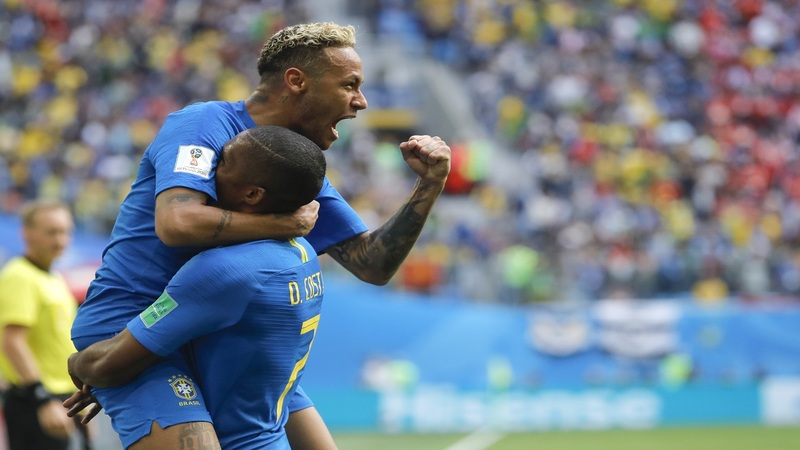 Sweden secured a place in the last 16 of the World Cup by thumping Mexico 3-0 in a pulsating encounter in Ekaterinburg on Wednesday, while defending champions Germany were eliminated. Andreas Granqvist rifled home 12 minutes later, when Pitana pointed to the spot for Hector Moreno's challenge on Berg, the Mexico defender's booking ruling him out of the last 16. Jesus Gallardo was shown the quickest yellow card in World Cup history for a late challenge on Ola Toivonen after just 15 seconds, but the Mexico left-back cleared the resultant free-kick after Berg's knockdown fell just out of Granqvist's reach. 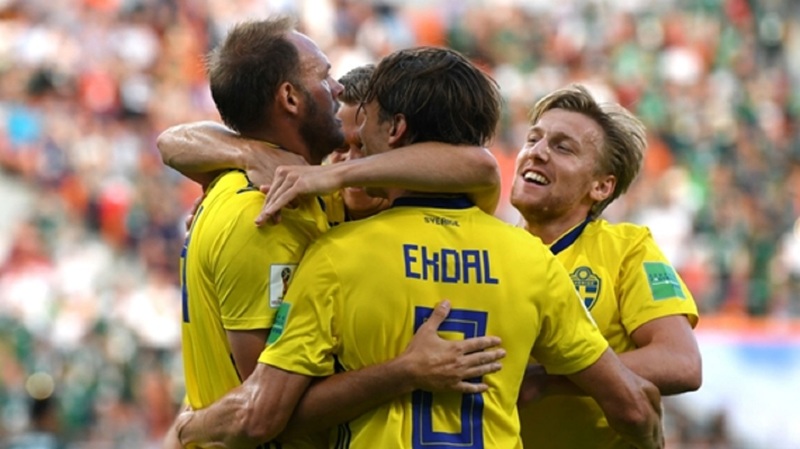 Sebastian Larsson had to be dragged away from berating the officials for the ensuing set-piece, from which Sweden went close when Berg had a stabbed attempt from Mikael Lustig's hooked ball tipped over by a leaping Ochoa. Sweden got the breakthrough their efforts deserved five minutes into the second period, Augustinsson volleying past Ochoa when Viktor Claesson's mishit sat up perfectly for him. 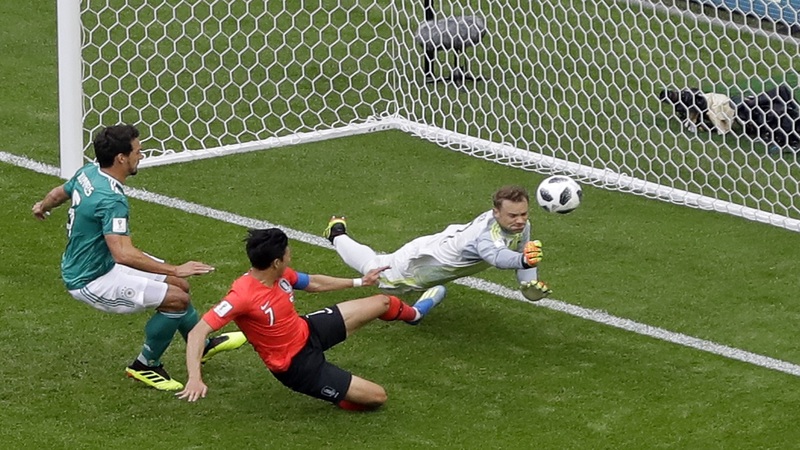 Vela could not steer a drive from Hernandez home from inside the six-yard box in the 82nd minute, but their journey reaches the last 16 for a seventh straight World Cup, despite a performance that was the antithesis of their opening 1-0 victory over Germany.